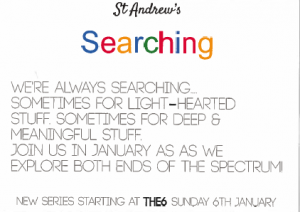 Our new series started on Sunday 6 January. Do join us as we explore both ends of the spectrum! As always there will be worship, teaching and a refreshments break part way through for us all to get to know each other more. If you’ve been 100 times or never before you are more than welcome.